Halsey is an American singer and songwriter born in Clark, New Jersey. 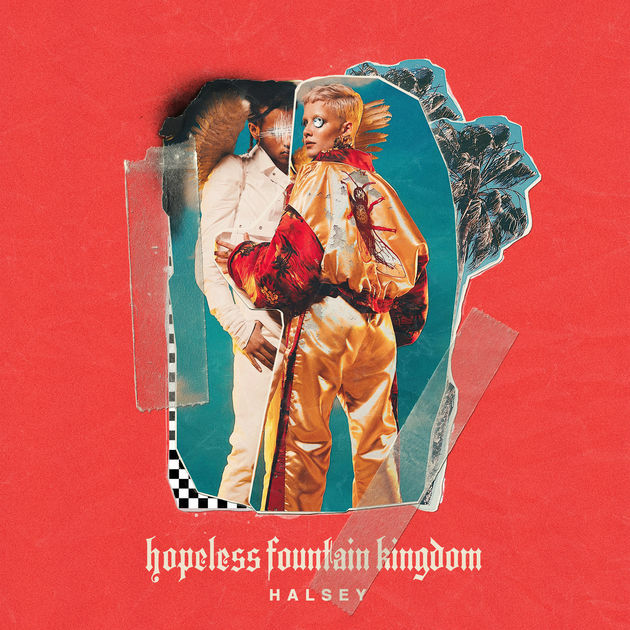 Hopeless Fountain Kingdom is the second studio album by Halsey, released on June 2, 2017 via Astralwerks Records. The album title in the cover art uses a blackletter named Westminster Gotisch by Dieter Steffmann. The font is free for both personal and commercial use and you can download it for free here. If you do not want to download and install the font but just like to create simple text or logos using Hopeless Fountain Kingdom Font, just use the text generator below. The following tool will convert your entered text into images using Hopeless Fountain Kingdom Font, and then you can right-click on the image to save it or click on the "EMBED" button to get links to embed images on the web.